Thanks to Around the World ARC Tours for the copy!!! First of all, I have to admit that I had a lot of expectations when I got this book. When you compare something to a classic like Hatchet (and fabulousness that is Lost) what else can you expect? Survive tells a story of Jane, a girl struggling with suicidal tendencies. People in her family had taken their own lives and Jane feels like its her duty to do likewise. She gets on a plane to go home for Christmas determined to never land alive. What she doesn’t expect is the plane crashing deep in the mountains and her surviving. Everyone else on the plane dies, save one boy, Paul. Together they must journey through the mountains to reach some kind of help or freeze to death. Honestly, I really wanted to like this story. Yet, from the beginning I didn’t feel anything for Jane as a character. I don’t know if its because I deal with people like her situations every day or what, but her struggles and “duty” to take her own life were something I didn’t feel pity for. Paul was a character I really wanted to like as well, but I just didn’t. Their relationship didn’t seem at all gripping like I would’ve expected from a story that was referred to as Hatchet meets Lost. Maybe I’m too hung up on that comparison but I couldn’t help but think of that as I was reading. I did enjoy the way Alex wrote the struggles on the mountain itself. The way the winds and the storms were described, I felt like I was actually there. Overall, this is a fast read, with natural danger at every turn. While I didn’t enjoy the story as much I would’ve like, it was a worthy read through once. 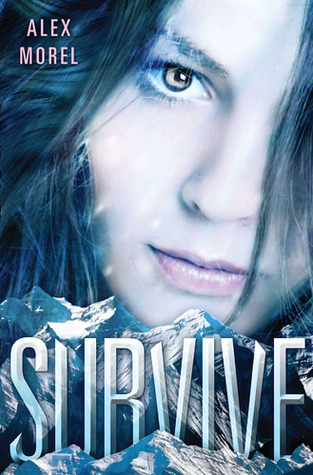 Survive comes out August 2nd, 2012. Too bad it wasn't what you thought. Problem is, in a book like this, the whole plot rests on “Will they survive?” And if you don't care enough about the characters to care whether they'll survive or not, all the tension shatters.